Krish, currently a 5th grade student at Columbus Magnet School, has been playing violin for three years in the school’s strings group. During these years, he has participated in many concerts and played many well-known tunes. He has also been in Academically Talented for past three years. In those three years, he has done several projects like “create a character with multiple abilities and a story to go with your character” and “create an invention for the Invention Convention”. Krish loves to solve Rubik’s cubes. For the last two years, he has been solving complex puzzles such as the 3×3, 4×4, 5×5, the pyraminx, the megaminx, and his newest puzzle, the gear ball. He has also created a youtube channel about them. Krish’s favorite subject in school is math. He likes math so much, that he goes to a math club to do harder math problems. 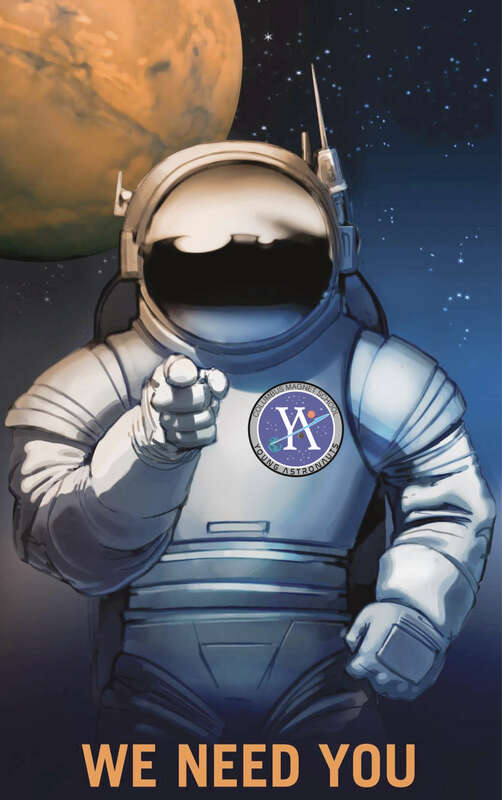 Krish is proud to be a member of the Young Astronauts mission, “In Vistigiis Apollo”. In Vistigiis Apollo is latin for, “in the footsteps of Apollo”. This mission is not only honouring Apollo 11 and Apollo XII, but also paying tribute to Mr. Perschino, the founder of Young Astronauts. board propusion systems. The Flight Dynamics Officer also monitors fuel consumption. The Flight Dynamics Officer must be an expert at orbital mechanics. Orbital mechanics is the science of orbits. Krish thinks that his love for science and space are exactly what is needed for this job. Ongoing success of CMS Young Astronauts program is dependent on the teachers, assistants, interns and parent community of volunteers. The program is a registered 501(c)(3) under the Columbus Magnet School PTA, and funding is provided by a combination of annual dues, donations and grants. If you, or your company, are interested in contributing to the future successes of CMS Young Astronauts, we'd love to hear from you.